Universidad de Antioquia, also called UdeA, is the oldest public university of Colombia and currently home to more than 37,000 national and international students. 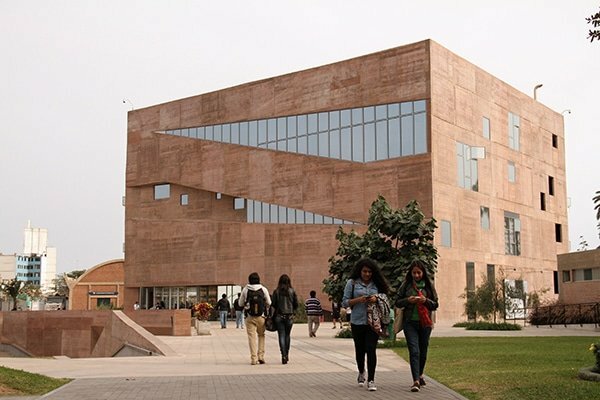 The university located all over Colombia received many credits from the Ministry of Education and positions itself as the top academic education you can find. The main campus is located in Medellín and by many considered the best city to live in since it’s safe, convenient and has an incredible nightlife. Perfect for international students. Back in 2016 was the first time Universidad de Antioquia got included in the world’s top 980 universities list. It has been stated to be an honor to be among the top universities and receive recognition for the long-standing commitment to conduct quality research and its highly-respected reputation in the health sciences field. Additionally, Universidad de Antioquia is recognized as the second most important research university with 94% of the projects receiving approval. This is a big deal for a university attaining to be highly skilled in research. Universidad de Antioquia has been considered one of Colombia’s best universities, with a high-quality accreditation from the Ministry of Education. Multiple campuses are spread out over Medellín, Colombia, including the main campus called University City. Then there is the Citadel Robledo campus that is for the Faculty of Agricultural Sciences, School of Nutrition, Veterinary Clinic and the Institute of Physical Education and two other campuses for Health and History, all in Medellín. It does not stop there. Universidad de Antioquia has regional campuses as well in the smaller cities around Colombia. These can be found in in Amalfi, Andes, Caucasia, Carmen de Viboral, Envigado, Puerto Berrío, Santa Fe de Antioquia, Segovia, Sonsón, Turbo and Yarumal. Currently, more than 6,000 students attend one of the regional campuses and 24,000 students are located in Medellin. Universidad de Antioquia is equipped with many facilities to improve your experience as a national student and as an international student. The campus itself is nothing like you are used to and provides all kinds of facilities. Each campus benefits from the same administrative facilities as the main campus while the University Museum, University Theater, Central Library and the Sports Unit are located in Medellin for you to enjoy. Here you can express your artistic spirit, learn about history, or get sweaty at one of the sports fields. No excuses for self-development of to have fun. In Medellín, sports is a big thing. Universidad de Antioquia offers training and has various teams in all kinds of sports, such as swimming, softball, karate, tennis, basketball, volleyball, football and even chess. The university supports student groups involved in academic, art, ecological, social and sports activities as well to help students create a really cool community for everyone to enjoy. Medellín is the capital of the state Antioquia in Colombia and has a population of 2.5 million people. With an average temperature of 23 degrees Celsius, it’s no surprise that its nickname is ‘the City of Eternal Spring”. The city is characterized by the surrounding Andes mountains, the cultural scene and incredible nightlife. Medellín is known as Colombia’s most innovative city with a bike sharing system, high-quality internet, and an excellent metro and cable car system. Although Medellín had a very bad image, Safety Medellín has made massive progress in both public safety and tourism. This has led to Medellín becoming a much more recognizable city for travelers. There are however still some places locals and travelers should avoid for their safety as in every big city in the world. Colombia is a very affordable place to live, especially if you are from one of the more expensive countries in Europe. A beer would cost you around €1, a basic lunch with drinks around €3.80 and two tickets to the movies €8. However, clothing and electronics are more expensive and could be comparable to the prices you would pay at home. The large variety of faculties provide you with enough options to select your favorite courses. Many international students go to Latin American to improve their Spanish and this is no different at Universidad de Antioquia in Medellín. Specific courses have been designed to provide non-native Spanish speakers with the skills and knowledge they need to communicate with the locals. If you are in Medellín, learning Spanish does not require you to be reading books all day. You have the opportunity to immerse yourself with the locals and get some real-life conversations. At ICETEX there is a graduate fellowship program which offers grants and fellowships to international students at Universidad de Antioquia. Is your home university a partner with Universidad de Antioquia then you’re eligible to apply. It’s always worth a try! Although Medellín is a beautiful city and has made significant improvements over the last 5 years, it is still comfortable to have fixed your accommodation before arrival. In an unknown multi-million people city it is hard to know beforehand what are the best places to live. Tellanto has already explored the city and selected the best accommodation for you. There are multiple houses throughout the city that are specifically designed for international students. You have the option to live with international students or Colombians, to have a small or large room and with or without a bathroom. All perfectly located near universities and public transportation. Even the price is perfect for students, which is between 200 USD and 400 USD. Have a look yourself and let us know if we can help you for free. We can even give you a 10% discount;)!